For commercial purpose and use of the complete version, please read betterfly-Readme.txt File. - Alternates by using Open Type Features or PUA for r s v and w.
- Ligatures by using Open Type Features or PUA for aa cc dd ee ff gg ll mm nn oo pp rr ss tt and zz. 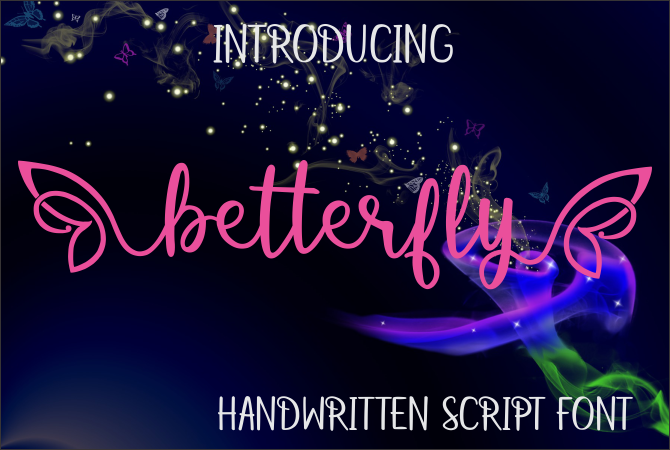 - 4 butterfly wings for startings and endings by using Open Type Features or PUA.